The Village Scribe Association Trust, which runs the awarenet program, this year received a welcome injection of fresh blood and ideas through the election of Clement Simuja and Gerald Accom to its board of trustees. The awarenet program first became aware of Clement after hearing about him single-handedly running computer classes for teachers and unemployed youth in our local township on a voluntary basis. His enthusiasm for both ICT and community engagement therefore made him a natural choice to act as trustee for our organisation. 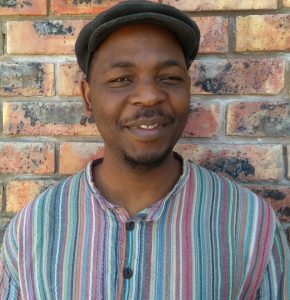 Clement has a Phd in Information Systems and is currently working as a senior lecturer in the field of ICT in education at the Rhodes University Education Department. Asked about why he wanted to join our board he responds that he loves to be part of initiatives which promote ICT as a tool for social development in the wider Makhanda/Grahamstown community. Gerald Accom has a long history of involvement with the awarenet program during his service as a teacher at the local Mary Waters High School. As a committed ICT enthusiast he was instrumental in creating opportunities for the awarenet team to teach learners in the school's computer lab. Currently retired from teaching, he maintains his zeal for ICT and education by lecturing part-time to students in the Bachelor of Education ICT and Bachelor of Education Science programs at Rhodes University Education Department. To further belie the notion that he has retired he maintains a website focusing on the technology learning area in the senior teaching phase. He is also the director of COPFORTAL (Community of Practise for Teaching and Learning), an initiative to train teachers in the use of ICT for teaching and learning. 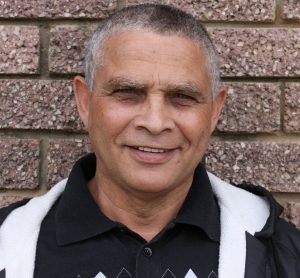 Not confining himself to the area of technology, Gerald also has a strong literary streak having published poetry and prose alike both in Afrikaans and English. We are glad to have attracted such strong additions to our awarenet team and hope to see them supporting us in our journey for many years ahead! This entry was posted in Mary Waters HS, members, Our organisation, partner schools, personal, Rhodes University, staff, teacher training. Bookmark the permalink.